I do franken, but when I got these I didn't have frankening in mind. I wanted to practice a technique that I had almost forgotten. I'm not sure what it's called, sprinkling maybe? Either way, I like the fact that it looks different from regular glitter nail polish. I would definitely recommend this activity if you have a bit of free time on your hands. 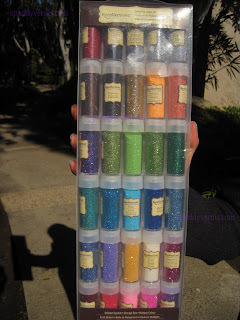 I took my mom to an Arts and Crafts store called Michaels, and when I saw these Recollections glitters my heart almost stopped, I heard an angel choir and my lips started moving like the little green marcians from Toy Story: "Ohhhh"... I included lots of pictures, because I was really proud of my work this time, the third picture is not color accurate, but I liked the artsy feel of it, so I left it there. 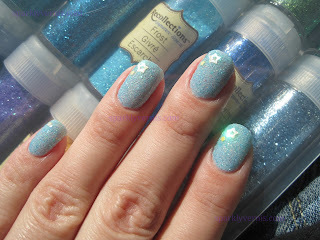 BONUS PICTURE - My Glittery Haul! Soooo much glitter! I love it! I can't wait to see the rest of them. @ Fab Fingertips. : yay \o/ I love inspiring! 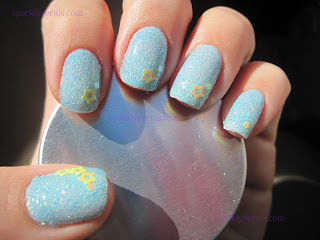 @ Laura: sooo much, and I didn't make a huge dent with this mani, so these will last a while. 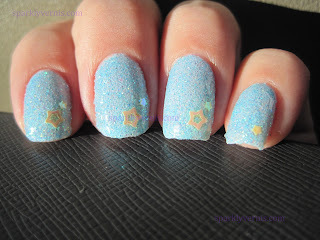 @ SeeSarahSwatch: I'm still experimenting, but this one (Frost) does melt in nail polish. 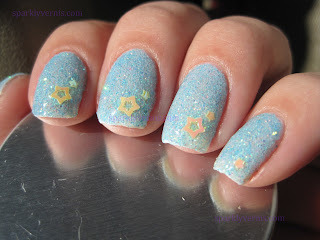 How do you get the stars on without ruining your mani? 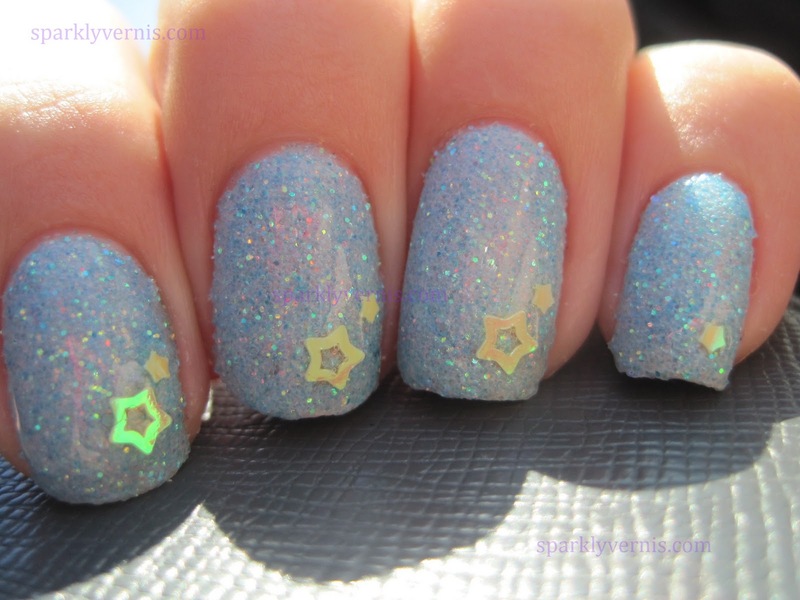 I would totally ruin my mani! how much does it cost a collection like that? ?